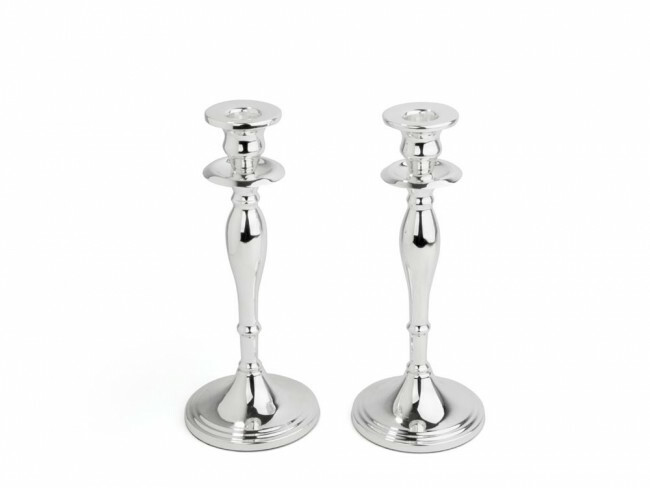 Candle stick Eleganza, set of 2, ø10x25cm sp./lacq. Candle stick Tube large, set of 2 22cm sp./lacq. 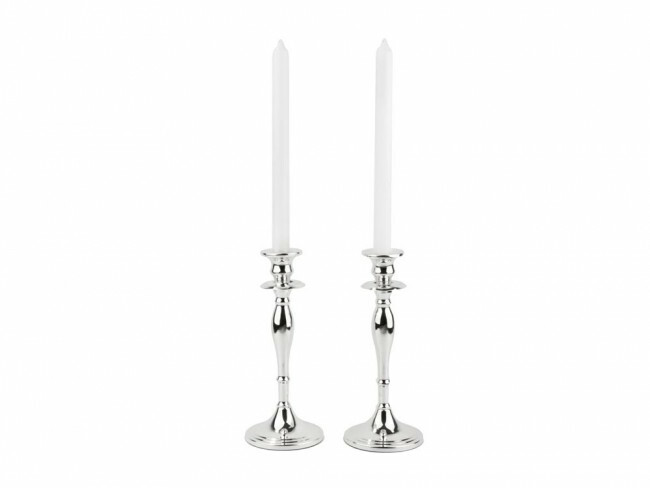 Candle stick Grazia, set of 2, ø13x30cm, sp./lacq. Candle stick Decora, set of 2, ø10x22cm sp./lacq. Set of 2 smooth candle sticks. Available in three sizes. The candle sticks are silver-plated and lacquered, and therefore require no polishing. This classic candleholder is a great addition to any set table. The Grazia candleholder is available in a set of 2 separate candleholders and a 3 or 5 branch variant. This classic candleholder is a great addition to any set table. The Decora candleholder is available in a set of 2 separate candleholders and a 3 or 5 branch variant. The stylish illumination from this classic Eleganza candleholder is a great addition to your home or table. Available in a set of 2 separate candleholders. The candleholder is silver plated lacquered. You're reviewing: Candle stick Eleganza, set of 2, ø10x25cm sp./lacq.